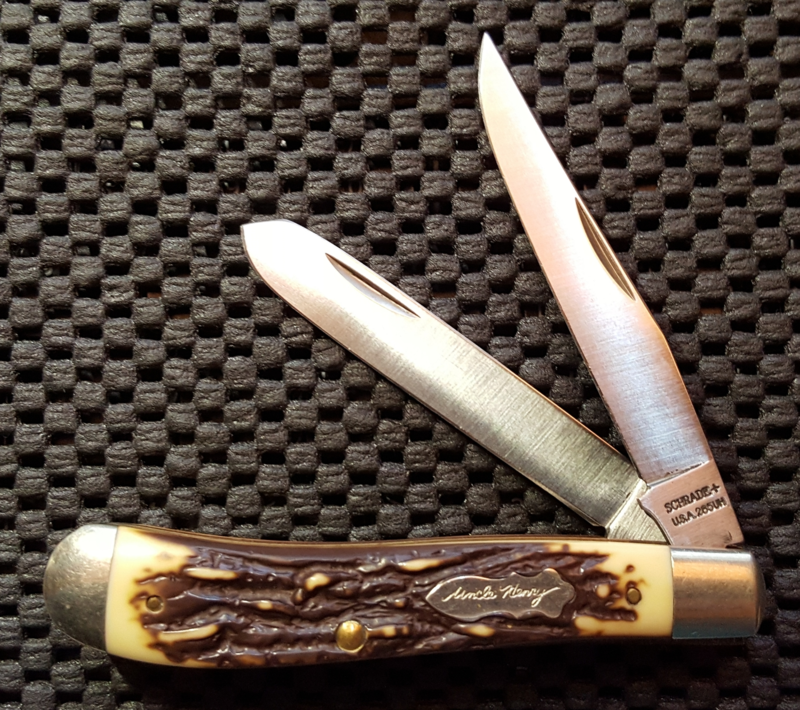 Discussion in 'Schrade Knives Collectors Forum' started by Codger_64, Mar 2, 2018. Nice knife, but my wife thinks the logo on the handle would fit me pretty well. Got another 8OT Stockman ,cleaning it up and I sharpen up this weekend! Ha been reading that over for several days before I saw the pics on the other page. Got it. redsparrow, Codger_64 and Grateful like this. Got this off the bay last week. Any idea of the age? koldgold and Grateful like this. dc50 and koldgold like this. 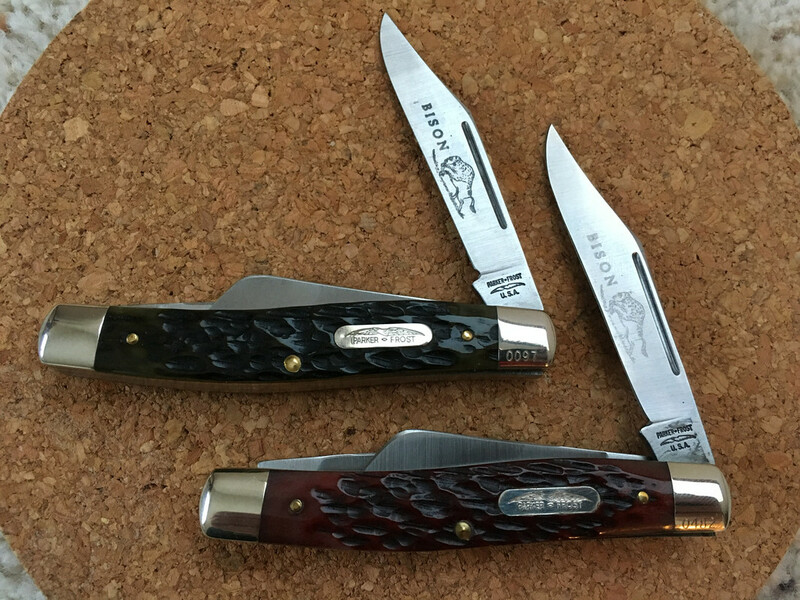 Already posted these in the Traditional threads but picked up a couple of Parker Frost Bison knives made by Schrade. dc50, The Fort and Grateful like this. I snagged a late '50s 896K in butter & molasses. delmas2nd, Grateful, 315 and 1 other person like this. Bad scan of mine. It has the OVB (our very best) etch; for Shapleigh Hardware? Minty, with really luminous celluloid covers. TheChunk91, redsparrow, howieareyu and 4 others like this. Bloefield, redsparrow, The Fort and 4 others like this. I picked up a pretty nice Schrade Walden 881 recently. Also, a very pretty 897UH. redsparrow, delmas2nd, 315 and 2 others like this. Lots of great warm fuzzies here. I especially warm to the 881s, both the yellow one and the 'jigged'. Both have the match strike and nice swedges. Much nicer in my opinion to the late manufacture 8 OTs and their kin. Thanks for showing them. 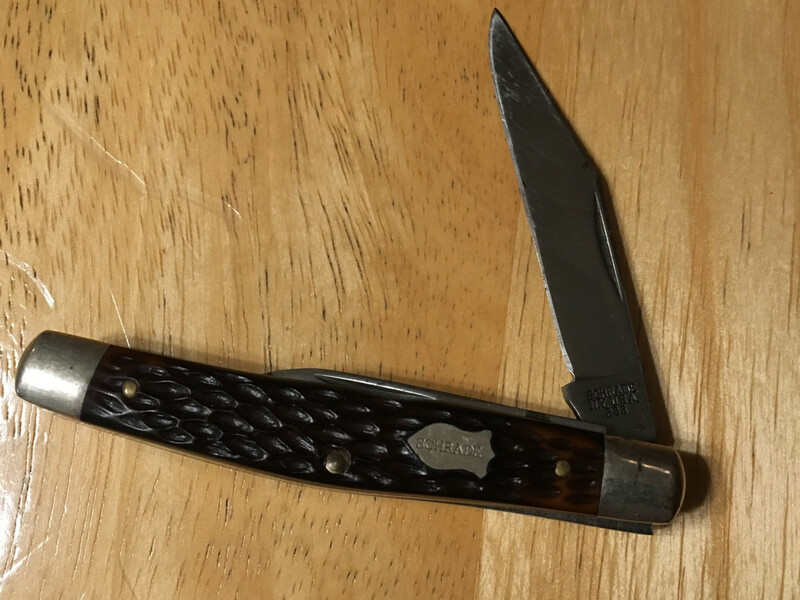 This is not a new acquisition, but since a couple of 881s have posted, I thought I would show this one with Keen Kutter markings. By the way, the matchstrike pulls were NOT the earliest renditions of these knives. 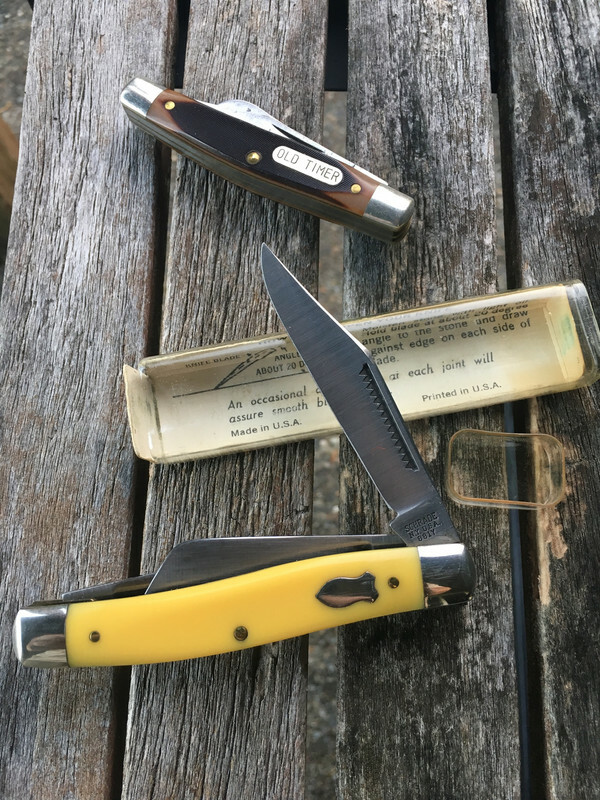 I love the lemon yellow celluloid on this knife. TheChunk91, koldgold, Bloefield and 5 others like this. 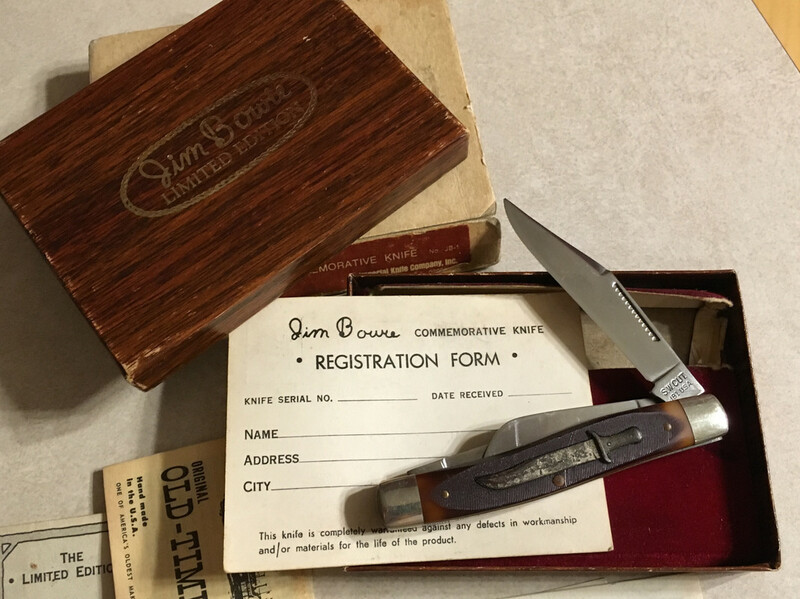 My latest Schrade is a piece of ephemera I can't recall seeing before. 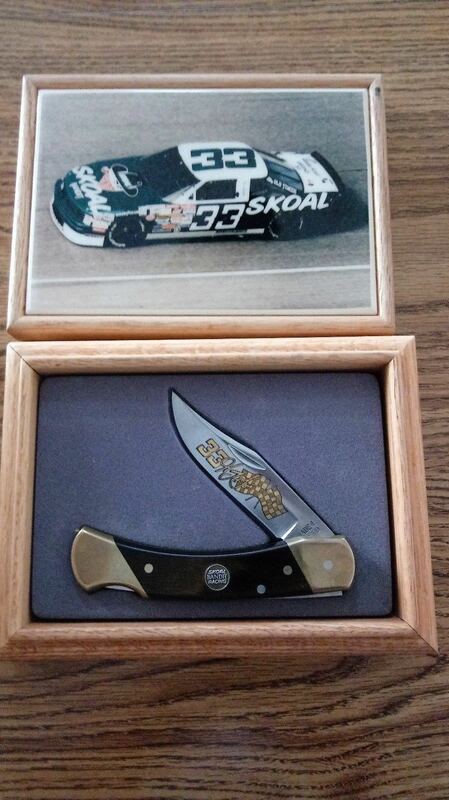 It's a big 8 x 10 SC92-MS02 "Harry Gant - Skoal Bandit Racing - Schrade Old Timer Driver" 2-sided card that I'm thinking might have originally been a piece of bling that came with a fancier Schrade/Gant knife or not . If anyone knows any details about when these were distributed I would be pleased to hear the story. Note the 1992 date on the card. 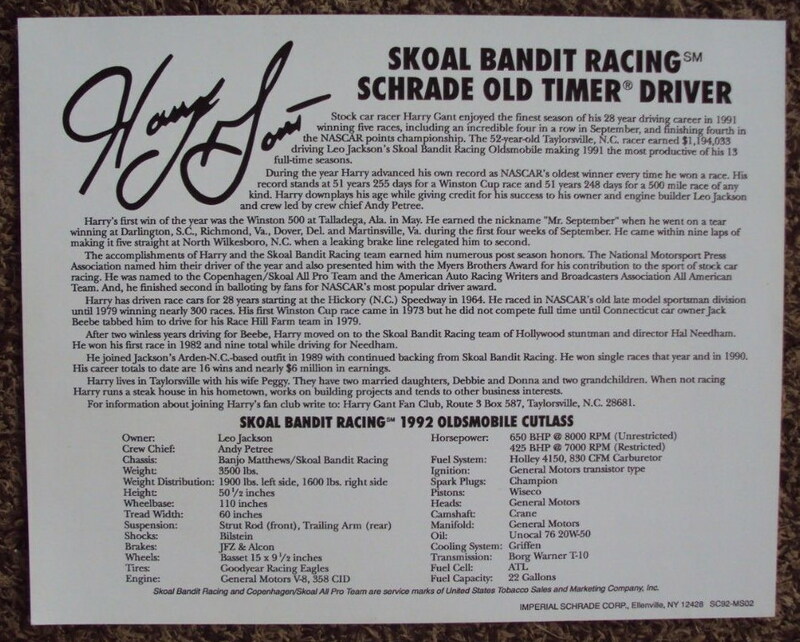 While I knew of the association between UST and Schrade I hadn't seen Gant dubbed a "Schrade Old Timer Driver" before. There you go. It's official. I have a HG7LTD which was 1992 production. 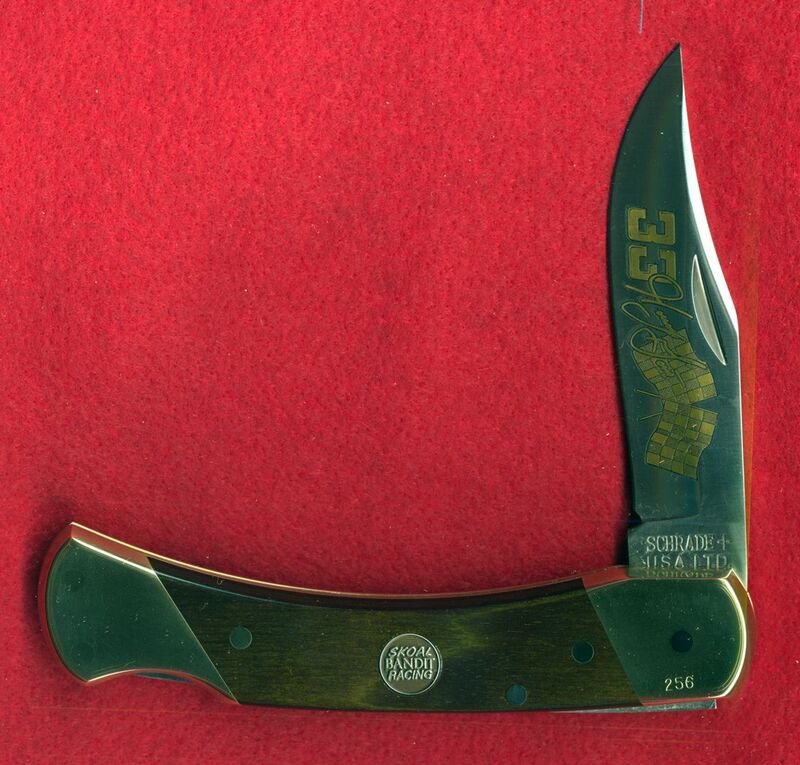 "HG7LTD - Harry Gant LB-7 pattern, Special gold filled etch, LTD. tangstamp, brass bolsters, antiqued coined N/S shield, Oak box with glazed tile lid, Ship 9/15/92 - 200 pcs." I'm guessing it came with these perhaps? 315 and koldgold like this. 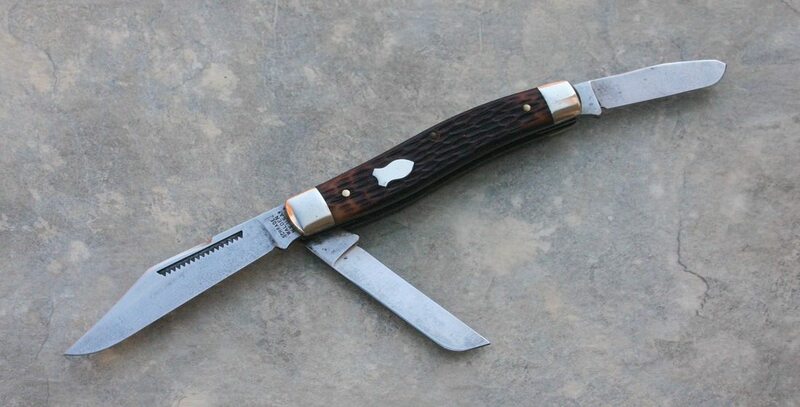 The MAC tools knife is also a Bandit 33 knife. 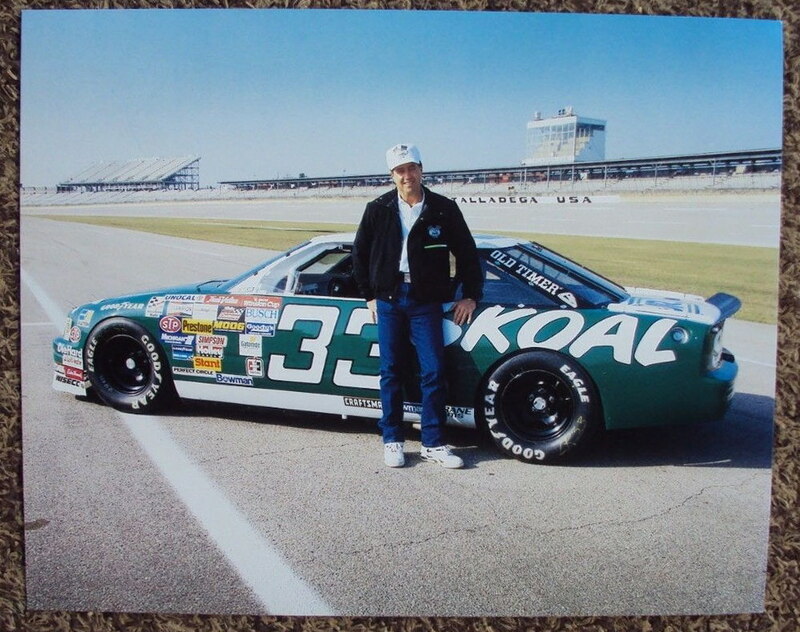 "Handsome" Harry Gant . . . a gool ol' boy if ever there was one. To win 5 races in a season when Dale Earnhardt Sr. was in his prime was quite an accomplishment. I like the 881s, and all the Schrade 4" knives.